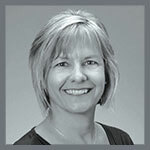 Carmen Carr, your real estate consultant for Truckee, North and West Lake Tahoe, shares her passion with the community by providing monthly guided hikes, and snowshoe trips, through our beautiful backyard of endless trail systems. Directions: To reach D.L. Bliss State Park from Tahoe City, take HWY 89 south for 15.8 miles to the park entrance. Follow the park road to the entrance station. We will meet there to enter the park together. It is about 6.5 miles looking down at the cool blue shoreline of magnificent Lake Tahoe and weaving in and out of shaded pine trees. Come and enjoy this beautiful walk through our local wilderness. Would enjoy hiking with your group. Great Carol, I will add you to the monthly mailer list. We would love to have you join the group.